I have these fluoro’s in my kitchen/dining area and they provide enough lighting. I can tell it is adequate because if there’s one place I need strong lighting it is in the kitchen. Good life expectancy. 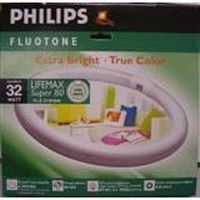 How would you rate Philips Circular Fluoro Tube 32w?